Spooky Empire's Ultimate Horror Weekend! 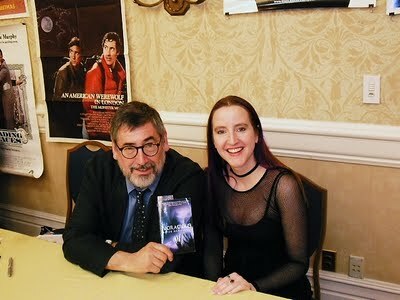 I just returned from Orlando, where I was an author guest at Spooky Empire's Ultimate Horror Weekend. 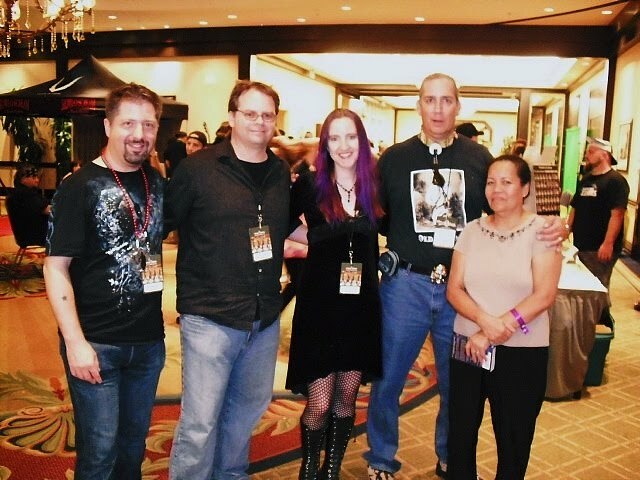 With media guests, authors and artists, the convention was full of horror goodness. Owl Goingback did an amazing job organizing the author side of the event, with signings and panels. 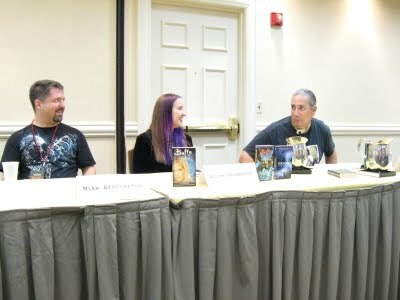 On Friday I moderated the Evolution of the Vampire panel with fellow authors Jeff Strand, Lynne Hansen, and Vince Courtney. We discussed early works such as Varney the Vampire and Stoker's Dracula and how they compare to vampires in current books and films like Twilight, Buffy the Vampire Slayer, and 30 Days of Night. Vince regaled the audience with hilarious stories about how being a vampire cop might be a disadvantage when one is confronted with an upturned truck full of garlic pizzas. After that I signed some books, and the vampire panelists rejoined for dinner, talking of writing, stories, and monsters. On Saturday I was on the Women in Horror panel, and discussed the work of women writers and directors in the horror genre. I signed more books afterward. I met actor Chris Sarandon and we talked briefly about vampires and their association with religious iconography, and how that figured into his film Fright Night. Later that day I met actor and writer William Forsythe, whose work I very much enjoy. He's got a dynamic range of portraying really dastardly villains and heroic good guys. He was incredibly nice. Afterward, my third panel, Regional Horror, went very well. Fellow panelists included author and astronomer Mike Brotherton, Owl Goingback and Vince Courtney. We discussed researching specific settings for novels and how to be true to a region while still creating your own story set there. Owl talked about mysterious legends of Florida. I talked about setting my novel Voracious in Glacier National Park. Saturday night was another fantastic dinner with writers. Mike Brotherton and Owl Goingback and I discussed cryptozoology and tales of creature sightings. On the last day of the con I met John Landis (director of one of my favorite films, American Werewolf in London), who was very kind. I also met Ricou Browning (The Creature From The Black Lagoon), which was fantastic. Next I was on a panel I'd been looking forward to all weekend -- The Cryptid Panel, with Mike Brotherton, Owl Goingback, and Scott Marlowe, a cryptozoologist and skunk ape expert. I talked about my master's thesis research into sightings of Bigfoot, lake monsters and El Chupacabra. Owl Goingback told stories of mysterious tall people found buried in Florida. Mike talked of hearing eerie cries in the darkness while searching for Bigfoot. Scott Marlowe thrilled us with tales of skunk ape sightings. The audience asked great questions and we just had a blast talking about one of our favorite subjects -- creatures! My last panel of the con was Choosing Your Monsters. 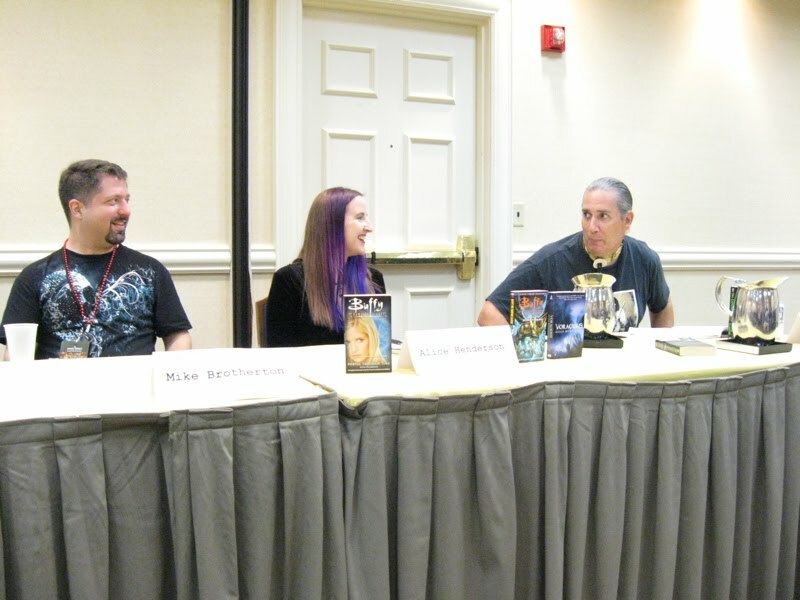 Fellow panelists included writers Mary SanGiovanni and Jeff Strand, who were a delight to chat with. We talked about how we pick monsters for our novels. Vampires, zombies, succubi, werewolves and more made appearances in our talk. The audience was very participatory, asking some great questions. Even more obscure creatures from mythology got touched on. It was a very well attended panel, especially for being late in the day on the last day of the con. I was delighted to be a part of the programming at the con and to meet so many fellow people in the industry. Thanks to all who attended!